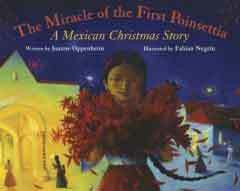 Introduces new parents to the power of books, songs, stories and play at this crucial time in a child's development. Studies show that it's never too soon to start reading to your baby. Read It! Play It! with Babies and Toddlers ' easy to follow format provides the resources, games and activities that new parents need to have at their fingertips. Also available in Spanish, A Leer Y Jugar Con Bebes Y Ninos Pequenos (Read It!Play It! with Babies and Toddlers) ISBN: 0972105050. Offers parents a suggested reading list of 50 books for kids 3-8, as well as ways to help kids develop their language, math, science and writing skills by sharing a wonderful book and then doing a related project. Each of the fifty books reviewed in Read It! Play It! comes with suggested activities that enhances the child's appreciation of the book experience through play. o Dramatic Play: putting on your own circus. This indispensable book takes the guesswork out of shopping for the kids you love. Thousands of products are reviewed and rated for quality, developmental appropriateness, and educational & play value by our team. Every product is kid and expert tested, and we tell you where they agree and disagree so that you can make informed decisions when it comes time to go shopping. Even Santa uses this! "Photos of bright, plasticine-relief birds vivify Oppenheim's bouncy, fact-based text, which encourages readers to look around at the many kinds of birds in the world. Ages 3-7." 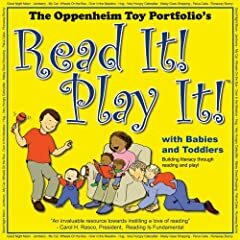 Publishers Weekly , Copyright 1988 Reed Business Information, Inc.
"Oppenheim's catchy sing-song text is so much fun it could stand on its own as a poem to memorize or a song to sing, but what a treat to have illustrations that are equally intriguing". Eye-popping artwork headlines this sensational picture book in praise of insects. Oppenheim's (Have You Seen Birds?) sprightly verse takes an up-close-and-personal view of bugs in all their splendid variety ("Bugs with stripes/ or speckles/ or spots,/ shiny like metal/ or covered in dots"). Meanwhile, Broda's exquisite painted paper sculptures, strategically placed against a series of watercolor backdrops, give the pages depth, texture and a brilliantly surreal flavor. Readers will be craning their necks for a "how did he do that?" look at the detail, from the intricate designs of a butterfly's wing to the gleaming metallic back of a beetle. 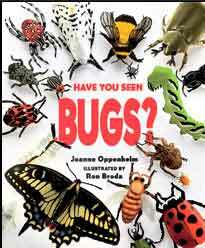 Touching upon caterpillars and crickets, ladybugs and lacewing dragonflies, author and illustrator cover a lot of ground and, thanks to Oppenheim's hardworking verse as well as the careful art, they pack in a surprising amount of information. While this finely wrought book is particularly well suited to the learning style of younger readers, those at the upper end of the target group will no doubt be equally enthralled. Ages 5-8. 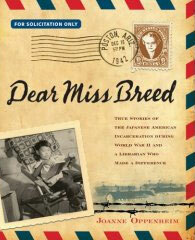 Publishers Weekly , Copyright 1998 Reed Business Information, Inc.
"From the author of Have You Seen Birds? (1987) and Have You See Trees? (1995), this book uses verse to introduce the variety and characteristics of insects. The word bug is used loosely, as the book includes moths, bees, and spiders. In rhymes such as "Some are fast: / they dart and leap; / some are slow: / they crawl and creep," the text points out basic differences in the way insects look, move, sound, hear, taste, eat, work, and grow from egg to adult. The artwork, constructed of three-dimensional paper sculptures, consists of painted, molded, and sometimes embossed papers that are cut and combined into scenes of bugs in their habitats. Some of the illustrations are quite impressive, though no doubt they lose something in the translation from three dimensions to two. Notes on the last page identify the insects pictured on each spread. Primary-grade teachers will find this a pleasing and effective introduction to insects."